UNION CITY, Ind. 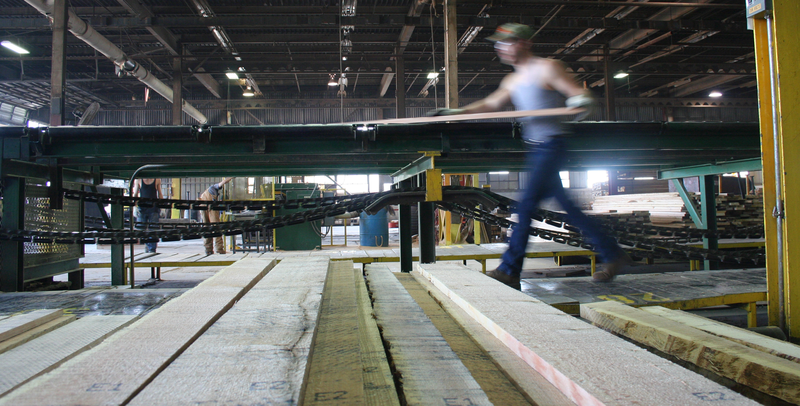 - Frank Miller Lumber, renowned for quartersawn and plainsawn hardwoods, has acquired USA Woods International Inc., a Memphis-based American hardwood lumber exporter. Frank Miller says the acquisition will position the company for significant international growth. USA Woods supplies the international lumber market with Appalachian, Northern and Southern hardwood lumber, including white oak, red oak, white ash, poplar, cottonwood, walnut, hard and soft maple, and cherry. "USA Woods is a great fit for the international business model of Frank Miller," said Steve James, Frank Miller Lumber president and CEO. "Today's announcement will enhance our market position and strengthen our commitment to international growth. This partnership represents a new chapter in Frank Miller Lumber's history, and we look forward to continuing and expanding upon the great work and fine reputation of USA Woods." 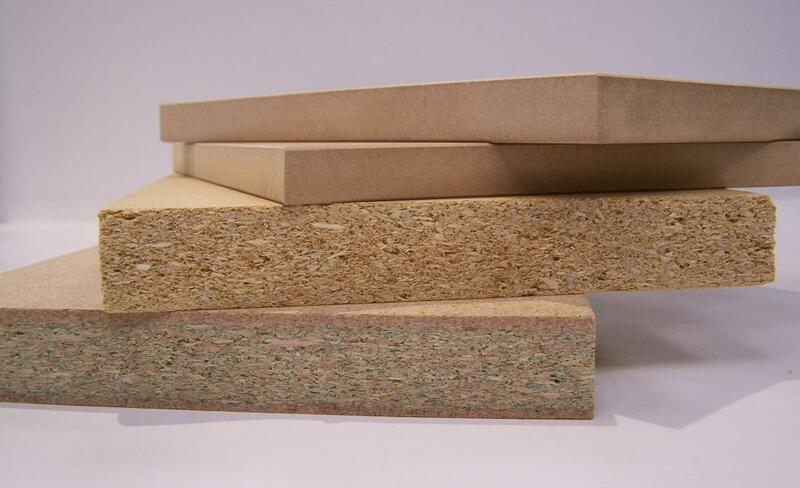 Frank Miller Lumber's quartersawn products are used in high-end commercial and residential cabinets, furniture, architectural millwork, and flooring around the world. The company produces 9,000 feet of quartersawn wood each day. Once cut from the quartered logs, these quartered boards are then subjected to quality assurance. A computerized optimizing edger cleans the edges of each board for maximum grade yield. After each quartersawn board is double-end trimmed, the lumber flow continues to an advanced control system that provides length, width and thickness data to assist inspectors in applying the proper grade to each board. 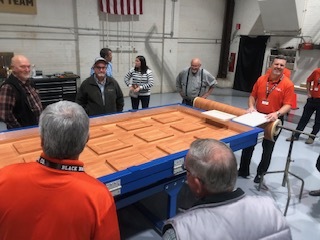 This system also tracks each board through the drying process, archiving its history for future reference along with accurate production and yield records. 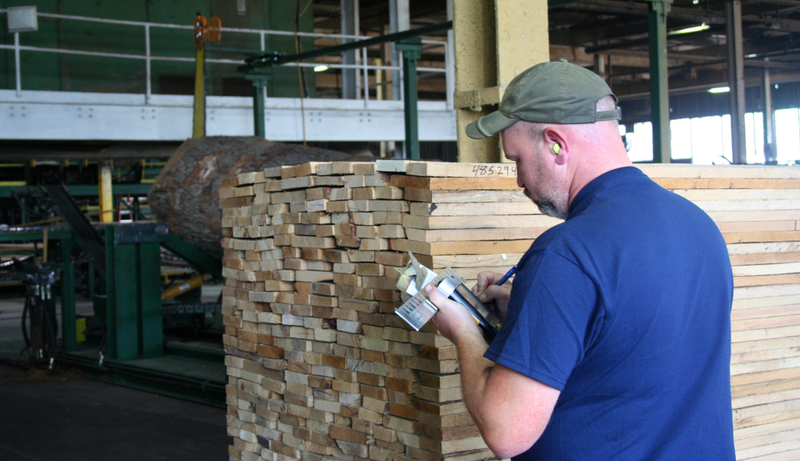 Once measured and marked, the boards travel down the grading chain where they are stacked in designated bundles before going to the sticking department. There, profiled drying sticks are placed at 12 or 24-inch intervals on each layer of boards to allow air movement between layers, while maintaining the lumber’s flatness during air and kiln drying. The drying process can take from 35 days to up to eight months, depending on the species and thickness of the hardwood. After pre-drying, the lumber is placed in a computer-operated kiln. Each kiln charge is electronically controlled to achieve a finished moisture content of between 6 and 8 percent per species and thickness.